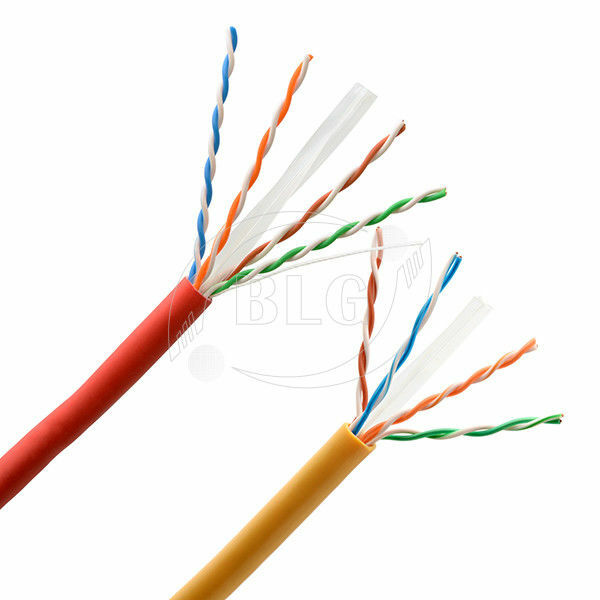 Category 6 cable, commonly referred to as Cat 6, is a standardized twisted pair cable for Ethernet and other network physical layers that is backward compatible with the Category 5 / 5e and Category 3 cable standards. 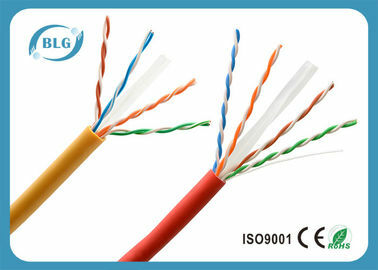 Cat 6 cable can be identified by the printing on the side of the cable sheath. Cable types, connector types and cabling topologies are defined by TIA / EIA-568-B. As for one 40'HQ container, we can finish them 10-15 days after receiving the deposit and we usually complete the order within 7-15days. It also depends on the items and the order quantities. A1: Shenzhen BLG is a professional manufacturer, not a trading company, Thus we can control your order from the first beginning to the last. 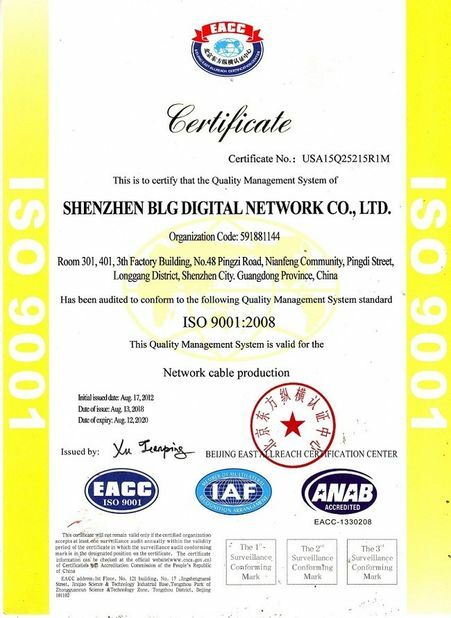 Q2: What kinds of products does Shenzhen BLG Cable manufacture? A2: We specialize in the production of Cat5e Cat6 LAN Cable, Patch Cable, Telephone Cable etc..
Q3: What kind of certificates can be offered ? A3: We can provide the products according to ASTM, ICEA, BS, DIN, IEC and GB standards. Meanwhile, we can design and manufacture the cables according to the samples and technical specification the customer supply. Q4: Can we have our logo or company name to be printed on your products or the package? A4: Yes, you can. Logo and company name can be printed on the cable jacket and package boxes. Q5: How much the Courier freight will be for the samples? A5: Courier freight depends on the quantity, weight and carton size and your area. Q6: How can I get your price list? A6: Please leave your contact way to us. 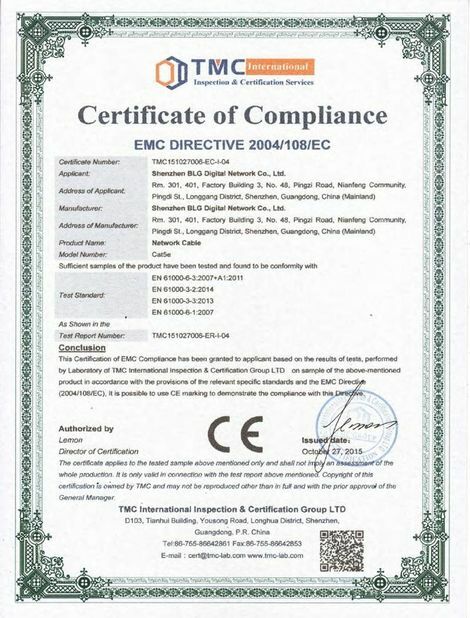 We will contact to you and pass our quotation sheet to you.